5. Desiring that the Vienna Memorandum be seen, within the continuum of these aforementioned documents and the current debate on the sustainable conservation of monuments and sites, as a key statement for an integrated approach linking contemporary architecture, sustainable urban development and landscape integrity based on existing historic patterns, building stock and context. 6. The present Memorandum refers to historic cities already inscribed or proposed for inscription on the UNESCO World Heritage List, as well as to larger cities that have World Heritage monuments and sites within their urban territories. ensembles of any group of buildings, structures and open spaces, in their natural and ecological context, including archaeological and palaeontological sites, constituting human settlements in an urban environment over a relevant period of time, the cohesion and value of which are recognized from the archaeological, architectural, prehistoric, historic, scientific, aesthetic, socio-cultural or ecological point of view. This landscape has shaped modern society and has great value for our understanding of how we live today. 8. The historic urban landscape is embedded with current and past social expressions and developments that are place-based. It is composed of character-defining elements that include land uses and patterns, spatial organization, visual relationships, topography and soils, vegetation, and all elements of the technical infrastructure, including small scale objects and details of construction (curbs, paving, drain gutters, lights, etc.). 9. Contemporary architecture in the given context is understood to refer to all significant planned and designed interventions in the built historic environment, including open spaces, new constructions, additions to or extensions of historic buildings and sites, and conversions. 10. The expanding notion of cultural heritage in particular over the last decade, which includes a broader interpretation leading to recognition of human coexistence with the land and human beings in society, requires new approaches to and methodologies for urban conservation and development in a territorial context. The international charters and recommendations have not yet fully integrated this evolution. 11. 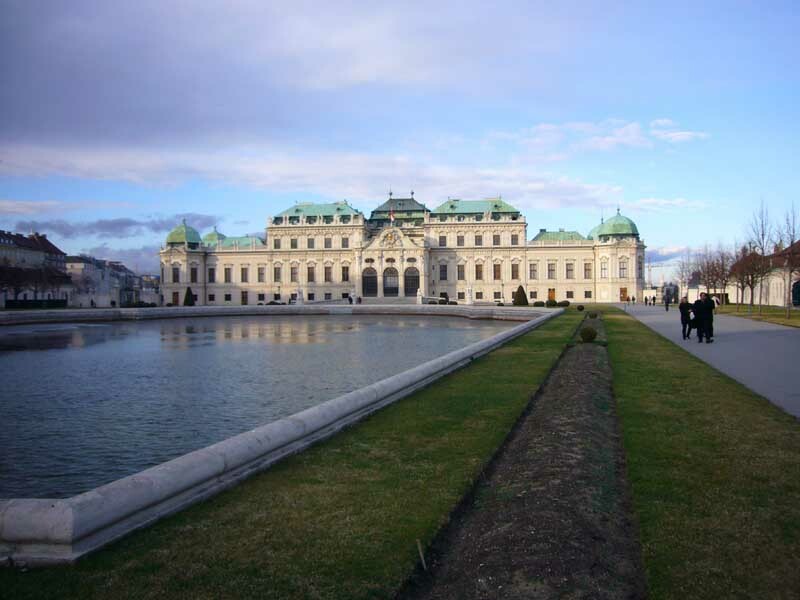 The Vienna Memorandum focuses on the impact of contemporary development on the overall urban landscape of heritage significance, whereby the notion of historic urban landscape goes beyond traditional terms of “historic centres”, “ensembles” or “surroundings”, often used in charters and protection laws, to include the broader territorial and landscape context. 12. The historic urban landscape acquires its exceptional and universal significance from a gradual evolutionary, as well as planned territorial development over a relevant period of time through processes of urbanization, incorporating environmental and topographic conditions and expressing economic and socio-cultural values pertaining to societies. As such, protection and conservation of the historic urban landscape comprises the individual monuments to be found in protection registers, as well as ensembles and their significant connections, physical, functional and visual, material and associative, with the historic typologies and morphologies. 13. Continuous changes in functional use, social structure, political context and economic development that manifest themselves in the form of structural interventions in the inherited historic urban landscape may be acknowledged as part of the city’s tradition, and require a vision on the city as a whole with forward-looking action on the part of decisionmakers, and a dialogue with the other actors and stakeholders involved. 14. The central challenge of contemporary architecture in the historic urban landscape is to respond to development dynamics in order to facilitate socio-economic changes and growth on the one hand, while simultaneously respecting the inherited townscape and its landscape setting on the other. Living historic cities, especially World Heritage cities, require a policy of city planning and management that takes conservation as one key point for conservation. In this process, the historic city’s authenticity and integrity, which are determined by various factors, must not be compromised. 15. The future of our historic urban landscape calls for mutual understanding between policy makers, urban planners, city developers, architects, conservationists, property owners, investors and concerned citizens, working together to preserve the urban heritage while considering the modernization and development of society in a culturally and historic sensitive manner, strengthening identity and social cohesion. environment, their sense of place, it is fundamental to guarantee an urban environmental quality of living to contribute to the economic success of a city and to its social and cultural vitality. 17. A central concern of physical and functional interventions is to enhance quality of life and production efficiency by improving living, working and recreational conditions and adapting uses without compromising existing values derived from the character and significance of the historic urban fabric and form. This means not only improving technical standards, but also a rehabilitation and contemporary development of the historic environment based upon a proper inventory and assessment of its values, as well as adding high-quality cultural expressions. 18.Decision-making for interventions and contemporary architecture in a historic urban landscape demand careful consideration, a culturally and historic sensitive approach, stakeholder consultations and expert know-how. Such a process allows for adequate and proper action for individual cases, examining the spatial context between old and new, while respecting the authenticity and integrity of historic fabric and building stock. 19. A deep understanding of the history, culture and architecture of place, as opposed to object buildings only, is crucial to the development of a conservation framework and single architectural commissions should be informed by urbanism and its tools for analyses of typologies and morphologies. 20. An essential factor in the planning process is a timely recognition and formulation of opportunities and risks, in order to guarantee a well-balanced development and design process. The basis for all structural interventions is a comprehensive survey and analysis of the historic urban landscape as a way of expressing values and significance. Investigating the long-term effects and sustainability of the planned interventions is an integral part of the planning process and aims at protecting the historic fabric, building stock and context. 22. Ethic standards and a demand for high-quality design and execution, sensitive to the cultural-historic context, are prerequisites for the planning process. Architecture of quality in historic areas should give proper consideration to the given scales, particularly with reference to building volumes and heights. It is important for new development to minimize direct impacts on important historic elements, such as significant structures or archaeological deposits. 23. Spatial structures in and around historic cities are to be enhanced through urban design and art as they are key elements of the renaissance of historic cities: urban design and art express their specific historical, social and economic components and transmit them to forthcoming generations. 24. Preservation of World Heritage sites also involves the design of public space: particular attention is to be paid to functionality, scale, materials, lighting, street furniture, advertising, and vegetation, to name a few. Urban planning infrastructure in heritage zones must include all measures to respect the historic fabric, building stock and context, and to mitigate the negative effects of traffic circulation and parking. 25. Townscapes, roofscapes, main visual axes, building plots and types are integral parts of the identity of the historic urban landscape. With regard to renewal, the historic roofscape and the original building plots serve as the basis for planning and design. 26. As a general principle, proportion and design must fit into the particular type of historic pattern and architecture, while removing the core of building stock worthy of protection (“façadism”) does not constitute an appropriate mean of structural intervention. Special care should be taken to ensure that the development of contemporary architecture in World Heritage cities is complementary to values of the historic urban landscape and remains within limits in order not to compromise the historic nature of the city. 27. Management of the dynamic changes and developments in World Heritage historic urban landscapes encompasses precise knowledge of the territory and its elements of heritage significance identified through scientific methodes of inventory, the relevant laws, regulations, tools and procedures, which are formalized in a Management Plan, according to the Operational Guidelines for the Implementation of the World Heritage Convention. 28. The development and implementation of a Management Plan for historic urban landscapes requires the participation of an interdisciplinary team of experts and professionals, as well as timely initiation of comprehensive public consultation. 29. Quality management of the historic urban landscape aims at permanent preservation and improvement of spatial, functional and design-related values. 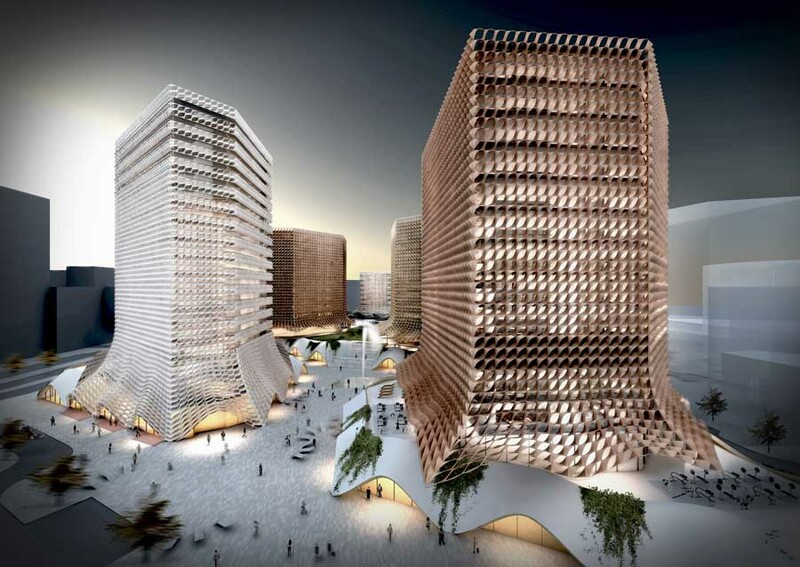 In this respect, special emphasis is to be placed on the contextualization of contemporary architecture in the historic urban landscape and Cultural or Visual Impact Assessment studies should accompany proposals for contemporary interventions. 30. Economic aspects of urban development should be bound to the goals of long-term heritage preservation. 31. Historic buildings, open spaces and contemporary architecture contribute significantly to the value of the city by branding the city’s character. Contemporary architecture can be a strong competitive tool for cities as it attracts residents, tourists, and capital. Historic and contemporary architecture constitute an asset to local communities, which should serve educational purposes, leisure, tourism, and secure market value of properties. A) With regard to historic urban areas already inscribed on the World Heritage List, the concept of the historic urban landscape and the recommendations expressed in this Memorandum need to be taken into account when reviewing any potential or ascertained impact on the integrity of a World Heritage property. These principles should be enhanced by plans which delineate the specific measures to be taken for the protection of the historic urban landscape. B) When considering the inscription of new properties and sites of historic urban areas on the World Heritage List, it is recommended that the concept of the historic urban landscape be included in the nomination and evaluation process. C) UNESCO is invited to study the possibility for formulating a new recommendation to complement and update the existing ones on the subject of historic urban landscapes, with special reference to the contextualization of contemporary architecture which should be submitted, at a future date, to the General Conference of UNESCO.